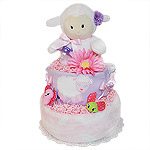 These baby diaper cakes are made from about 25-60 premium diapers and are usually two tiers diaper cakes. 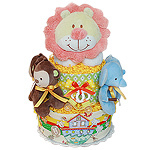 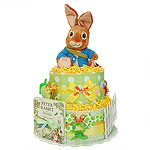 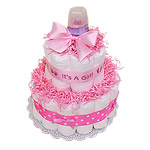 Whether you're looking for a perfect present or a baby shower centerpiece, you can find your perfect diaper cake here, or check our baby shower diaper cake collection. 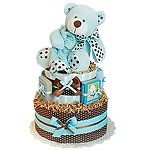 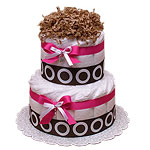 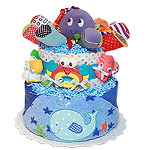 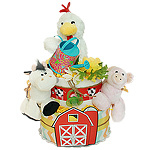 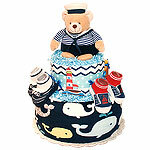 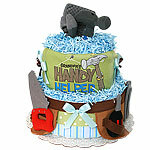 Medium baby diaper cakes are great choice for smaller parties.